Come read Davy’s awesome poem “Raw”. It’s sort of a short, short story that will leave you hearing a Lioness roaring! Come read this beautiful poem – “Eclipse” about the eclipse and love. His words captured me held me hostage under a sun-filled sky. Side-by-side, hand-in-hand, we watched in awe. 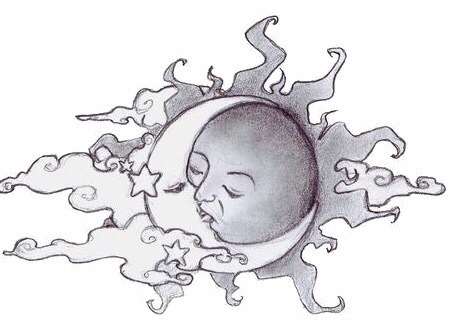 Celestial lovers moving slowly to embrace. A union between day and night. A kiss not to be forgotten. Each sharing the beauty of their power. There were no words exchanged, just his breath on her face. While Venus shown in celebration. We had no words sufficient to exclaim our wonder. as the wind blew softly. Then lovers parted moving slowly, longing for their next embrace. Did you not know that’s how stars are born? my heart knew what love was. Come read Linda’s beautiful Haiku “Shiver and Rain” about Dandelion’s.